Further evidence that our leaders are out of touch with reality is not needed. Former British Prime Minister Tony Blair said yesterday that the world is a better place because of the Iraq War. Perhaps he has stopped watching the news. That would be understandable, considering that the ripple effect of the US-British invasion of Iraq in 2003 continues to this day. On Sunday, 281 people were killed in a bomb blast at a shopping mall in Baghdad, the capital. When I heard the news I thought of the period between the two world wars, after the Treaty of Paris created Iraq and Syria out of the rubble of the Ottoman Empire. I remember reading a couple of novels by Agatha Christie titled “Murder in Mesopotamia” and “They came to Baghdad.” The novels were set in Iraq, which Dame Agatha knew well – she had lived there for a few years with her husband, Max Mallowan, the famed archaeologist. They first met in the ancient city of Ur in 1928 and lived in Mosul on and off when they were married. Their association with the country continued until 1963. They discovered many artifacts from ancient Nimrud, most of which were looted by the Assyrians when they invaded Lebanon and Syria. Agatha Christie used her face cream to clean these treasures. During this period of time, Iraq was at peace and the people lived under a fairly liberal constitutional monarchy. It all changed after a revolution in 1958. 58 years later, it continues to get worse. Thankfully, Dame Agatha died in 1976, three years before Saddam came to power. She did not live to see the disaster the country has become. Mr. Blair’s press conference followed the publication of the Iraq War Inquiry, a six-year project chaired by Sir John Chilcot. The Chilcot Report was scathing in its criticism of Mr. Blair and his role in the war. Amongst other things, he was criticized for so readily going to war alongside the Americans, when peaceful options had not been exhausted. In a memo to President Bush, Mr. Blair wrote he was with him “whatever.” 179 British men and women were killed and hundreds injured. The invasion, which began in March, 2003, brought to the surface the 1,400 year struggle between Sunnis and Shi’ites – a conflict seemingly without end. To be fair, both Bush and Blair were presented with faulty intelligence that showed Saddam Hussein had “weapons of mass destruction.” This turned out not to be the case. Mr. Blair said yesterday that if he was presented with the same evidence today, he would make the same decision. What is utterly amazing is Mr. Blair’s claim that the world is a better place following the removal of Saddam. One Iraqi in Baghdad, asked to comment on BBC World News following the report, said that if he had the opportunity he would tell Mr. Blair, to his face, that “he is a criminal – and I would spit in his face!” No doubt, feelings about George W. Bush are the same. The invasion of Iraq will negatively affect relations with the West for decades to come. It has already led directly to the creation of ISIS and the growth of Al-Qaeda (which did not exist in Iraq prior to the war). These two terrorist movements seriously imperil the West. One contributory factor to the war was the naivety of the two western leaders, believing that the overthrow of Saddam and the “introduction” of democracy, would bring regional stability as democracy would spread and, as we all know, democracies do not go to war, a fallacy in itself! Perhaps all this had to happen. The Middle East is the epicenter of the final apocalyptic events found in both the Christian Bible and in Islam. 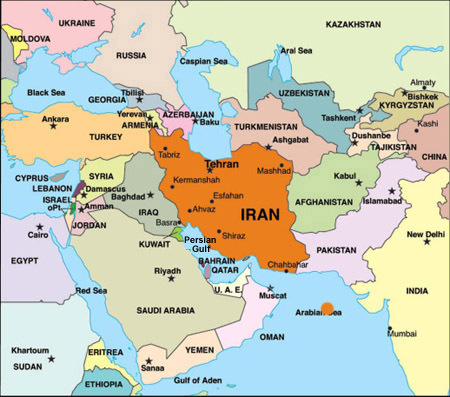 Thanks to the invasion of Iraq, we now have a Shia arc that embraces Iran, Iraq, Syria and Lebanon. Over 2,300 years ago, following the death of Alexander the Great, this was the territory of his general Seleucus, the “King of the North” we read about in Daniel 11. Some of the area was taken over by Rome in the first century BC. A revived King of the North plays a major role in end-time events. The decision to invade Iraq triggered off so many inter-factional conflicts, it’s impossible for western leaders to begin to comprehend it all. That alone is a very good reason why we should never have got involved in the first place. Unfortunately, the damage has been done and we will all have to live with the consequences. 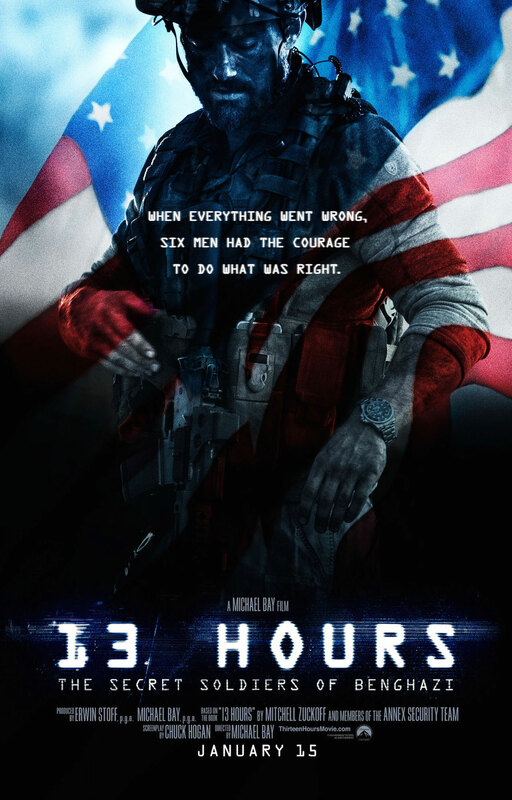 Our son took me to see “13 Hours” on Sunday morning. The movie recounts the events of September 11, 2012, when the US Consulate in Benghazi, Libya, came under attack. The US Ambassador to Libya was killed in the attack along with a few others. The then Secretary of State, Hillary Clinton, has been blamed for the deaths. Certainly the US State Department was slow to react. There is a deeper, more troubling question here – what is the US doing in Benghazi? Chris Stevens, the Ambassador, said it was to support those who want democracy. Really? 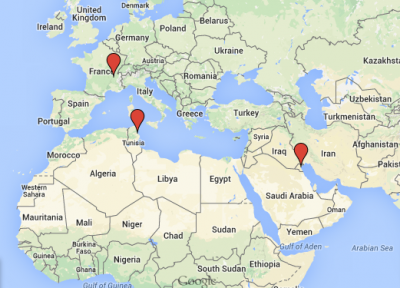 There’s little evidence in Libya, or elsewhere in the Middle East, that anybody wants democracy. If they do, they want to use democracy to get power, after which there will be no more democracy! BBC World News last night led with a disturbing report on Benghazi, a city that has been almost completely destroyed by factional fighting. It’s also about to fall to ISIS – the same ISIS we’ve been told is on the run! 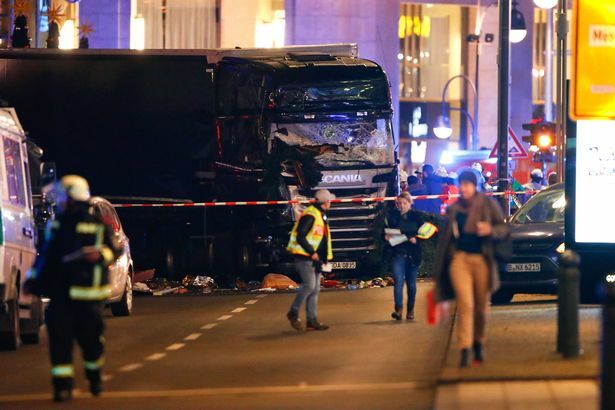 Europe is still not ready to face the twin challenges of Islamic terrorism and the mostly Islamic invasion of the continent, taking place through the migrant crisis. Denmark and Sweden have both been in the news this week. Denmark’s parliament has passed legislation that will confiscate the assets of migrants with more than $1,400 in cash or valuables. This controversial decision actually brings migrants into line with Danish citizens, who cannot receive government help if they have more than the equivalent of $1,400. The decision is likely to deter migrants, which was likely the intent behind it. Sweden has taken in more refugees than any other country, proportionate to its population. Last year, more than 163,000 arrived in the Scandinavian country, following the announced decision that nobody from Syria would be turned away. Now, the government says that up to 80,000 (almost half) will not qualify to stay and will be deported. The government had to do something following a dramatic increase in the number of rapes and the murder of a 22-year-old female volunteer by a 15-year-old “refugee” at an asylum center. Concern was expressed by one official at how traumatized the boy must have been! (Yes, really.) Sweden’s anti-immigrant right-wing party, the Sweden Democrats, unsurprisingly is gaining ground in the polls. Germany took in more refugees than anybody and has also seen a marked increase in the number of rapes. There are also increased fears of terrorist attacks as ISIS encouraged recruits to accompany refugees en route to Europe. The European Union is failing to deal with the migrant crisis, which is threatening to bring an end to the Schengen Agreement, one of the EU’s proudest achievements. Schengen brought about the free movement of peoples throughout Europe, an arrangement now in danger of collapsing. Americans should take note of the comment on the Obama Administration. “The abandonment of American strength” is a good way to put it. The consequences of his neglect can be seen in the Middle East and, increasingly, in other parts of the world. There may only be one year left of the Obama Administration, but will things be any better afterwards? Will a new president be different? Some candidates threaten to bomb their way to victory in the Middle East, failing to learn the lessons of the past. Most, maybe all, are simply clueless when it comes to understanding that part of the world. Once again, the question is: what are we doing there? It’s hard to imagine that the British drunkards, fornicators and adulterers on “Indian Summers” could have run an empire, but that’s what the latest offering on PBS’s Masterpiece Theater is having us believe. I’m sure that some of that went on, as it has done in every nation, but surely not everybody? Even the resident missionary in Simla has had an extramarital relationship. Sunday’s episode went so far as to suggest that there was one law for the Brits and one for the natives, that innocent until proven guilty did not apply to Indians. Indian writer Dinesh d’Souza once wrote that one of the greatest gifts the British gave India was the legal system, including this very point. Equality before the law is a basic principle of English common law, thanks to the Magna Carta, which is being remembered this year, 800 years after its signing. I’ve written before of how in the last days of colonial Rhodesia, a young white male who murdered a black taxi driver was hanged for his crime. The fact that he was white was no excuse. 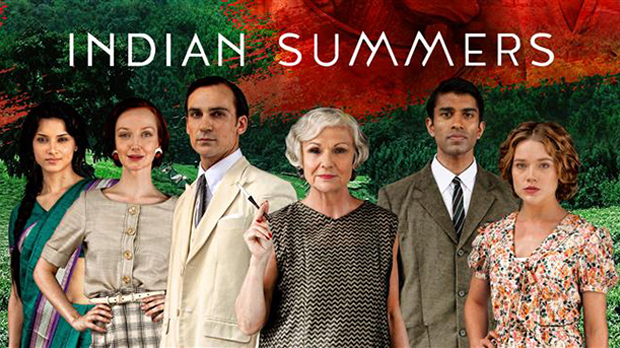 “Indian Summers” also gives the impression that the British oppressed the Indians. Difficult when the Indians outnumbered them 1,200 to 1. And if the Indians hated the British so much, why have so many moved to England since independence? A more accurate portrayal of British history can be found on the BBC World News channel. “The Birth of Empire” is a documentary series on the British East India Company, the biggest commercial enterprise in the history of the world. It started as a trading company in 1600, during the reign of Queen Elizabeth I, and was so successful it ended up running the sub-continent. Eventually, the British government took over the responsibility of administering the Indian empire. “Despite their suspect motives and bad behavior, however, the British needed a certain amount of infrastructure to effectively govern India. So they built roads, shipping docks, railway tracks, irrigation systems, and government buildings. Then they realized that they needed courts of law to adjudicate disputes that went beyond local systems of dispensing justice. And so the British legal system was introduced, with all its procedural novelties, like “innocent until proven guilty.” The British also had to educate the Indians, in order to communicate with them and to train them to be civil servants in the empire. Thus Indian children were exposed to Shakespeare, Dickens, Hobbes, and Locke. In that way the Indians began to encounter words and ideas that were unmentioned in their ancestral culture: “liberty,” “sovereignty,” “rights,” and so on. “That brings me to the greatest benefit that the British provided to the Indians: They taught them the language of freedom. Once again, it was not the objective of the colonial rulers to encourage rebellion. But by exposing Indians to the ideas of the West, they did. The Indian leaders were the product of Western civilization. Gandhi studied in England and South Africa; Nehru was a product of Harrow and Cambridge. That exposure was not entirely to the good; Nehru, for example, who became India’s first prime minister after independence, was highly influenced by Fabian socialism through the teachings of Harold Laski. The result was that India had a mismanaged socialist economy for a generation. But my broader point is that the champions of Indian independence acquired the principles, the language, and even the strategies of liberation from the civilization of their oppressors. This was true not just of India but also of other Asian and African countries that broke free of the European yoke. “My conclusion is that against their intentions, the colonialists brought things to India that have immeasurably enriched the lives of the descendants of colonialism. It is doubtful that non-Western countries would have acquired those good things by themselves. It was the British who, applying a universal notion of human rights, in the early 19th century abolished the ancient Indian institution of suttee — the custom of tossing widows on their husbands’ funeral pyres. There is no reason to believe that the Indians, who had practiced suttee for centuries, would have reached such a conclusion on their own. Imagine an African or Indian king encountering the works of Locke or Madison and saying, “You know, I think those fellows have a good point. I should relinquish my power and let my people decide whether they want me or someone else to rule.” Somehow, I don’t see that as likely. “Colonialism was the transmission belt that brought to Asia, Africa, and South America the blessings of Western civilization. Many of those cultures continue to have serious problems of tyranny, tribal and religious conflict, poverty, and underdevelopment, but that is not due to an excess of Western influence; rather, it is due to the fact that those countries are insufficiently Westernized. Sub-Saharan Africa, which is probably in the worst position, has been described by U.N. Secretary General Kofi Annan as “a cocktail of disasters.” That is not because colonialism in Africa lasted so long, but because it lasted a mere half-century. It was too short a time to permit Western institutions to take firm root. Consequently, after their independence, most African nations have retreated into a kind of tribal barbarism that can be remedied only with more Western influence, not less. Africa needs more Western capital, more technology, more rule of law, and more individual freedom.” (“Two Cheers For Colonialism,” Dinesh d’Souza, 5/8/2002). A more accurate Masterpiece Theater presentation is the series “Home Fires” which has been showing immediately prior to “Indian Summers.” This series, which ended its first season last night, is set in an English village during World War II. The program revolves around the Women’s Institute and its efforts to help the war effort locally by growing and canning food, knitting and sewing, and raising funds to buy ambulances. With many of the men in their lives fighting on the front lines around the world, the ladies are faced with a whole series of difficult challenges, including food rationing and the preparation for bombing raids. The series ended with hundreds of planes of the Royal Air Force flying overhead on their way to fight the Battle of Britain. The villagers are contemplating the reality of a Nazi invasion with all the changes that would bring. It’s well worth watching and is available on DVD and Netflix. As I was drinking my early morning cup of tea a few days ago, I saw a report on BBC World News that made my stomach churn. 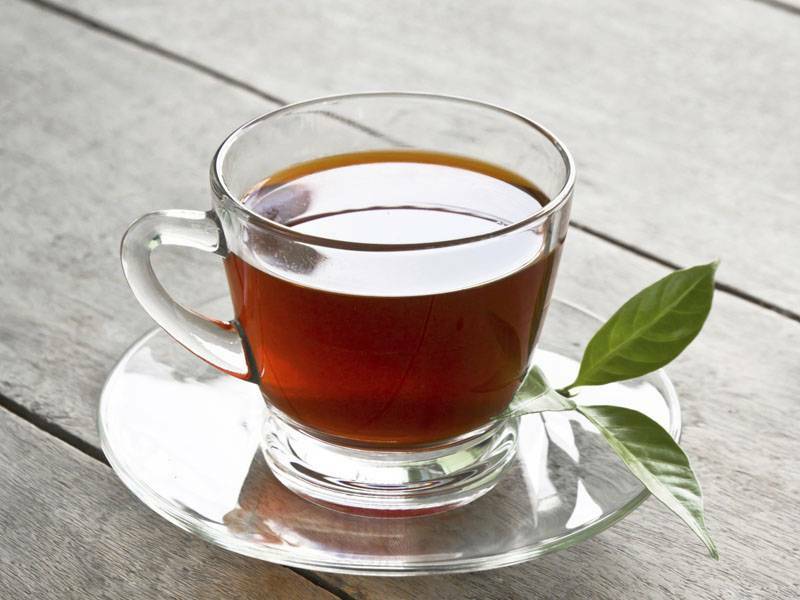 The report was from a tea plantation in Assam, India. It showed the wretched conditions that employees lived in, even though there are laws that require employers on plantations to provide adequate living conditions for all workers. Their homes had holes in the roof, allowing malaria-carrying mosquitoes inside in massive numbers. Holes in the sides of the “houses” allowed in the rain. But, worst of all, there were no toilet facilities whatsoever. One woman said she had not been able to use a proper toilet for 36 years! A big hole in the ground was being used by some employees – a hole that was just a few inches away from another hole that was the community’s drinking water. The next piece of information is what’s making me contemplate drinking nothing but water in the morning! The program said that most employees, not having access to any toilet facility, simply went into the tea bushes and relieved themselves amongst the bushes. Yes, puts you right off your morning cuppa. I had often wondered what gave my tea it’s distinctive tang. Now I know! Lest you coffee drinkers think this problem is restricted to tea, don’t be so complacent. I lived in Africa long enough to know this is a universal problem once you get outside of the West. It should also be said that tea and coffee are not the only foods affected. I read some years ago that subsistence farmers south of the US border often use bushes the same way – and the food they produce, notably strawberries, can legally be classified “organic.” I haven’t eaten an organic strawberry since! One of the managers in Assam was asked why they haven’t given the workers functioning toilets. He looked rather bewildered at the question and said that the law allows employers five years to provide them. Five years??? That’s a long time to go without a bathroom break! The fact is that, in many countries around the world, they don’t think about toilet facilities. India is one of the fastest growing economies in the world, yet less than 50% of its people have any sanitation in their homes. When I was overseeing the building of a church in Ghana, I remember looking over the architect’s plans and asking: “Isn’t something missing?” Again, there was that look of bewilderment. I had to be more blunt. “Where are the toilets?” He hadn’t thought about toilet facilities in the building. To be brutally frank, he probably hadn’t thought about them for any building he had designed. Even the ministers present had not given it any thought. Congregants would be expected to go and use the bushes just like anybody else. It’s been over 400 years since John Harrington invented the first flush toilet in England. However, it wasn’t until Thomas Crapper came along that flush toilets became the norm. His factory in London mass produced toilets and sold them everywhere. His product became ubiquitous, but his name lived on only in it’s shortened form! Not everybody liked flush toilets. I remember visiting an old American fort where our tour-guide informed us that soldiers stationed there were afraid of using them when they were installed. At the same time, it should be said that they didn’t like the army’s rule insisting they take a bath once a month, either! Toilets were exported to all parts of the world. But this is where cultures played a part. In other words, at independence. Freed from British rule, they no longer considered rudimentary hygiene important. At the same time, skilled plumbers left the country and maintenance became a thing of the past. In fact, the same man told me that there is no word for “maintenance” in the local language. It’s just so much easier to go into the bushes! It’s no good blaming Twining’s or any other western tea distributor – the local culture is the problem. And that’s not likely to change. “Today has seen three major terrorist attacks all by jihadists and spread across three continents. “I’m afraid we’re in for more days like this . . . Ramadan should be a time of calamity for the infidels. They include the Shia as well.” James Woolsey, Former Director of Central Intelligence. Ramadan continues until July 17th.